A favorite Vietnamese dish of mine is Garlic Butter Noodles. Not until recently did I try searching for a recipe to try. I was surprised at how easy it was to make! You only need a few ingredients, all of which I had in my kitchen cabinet already. 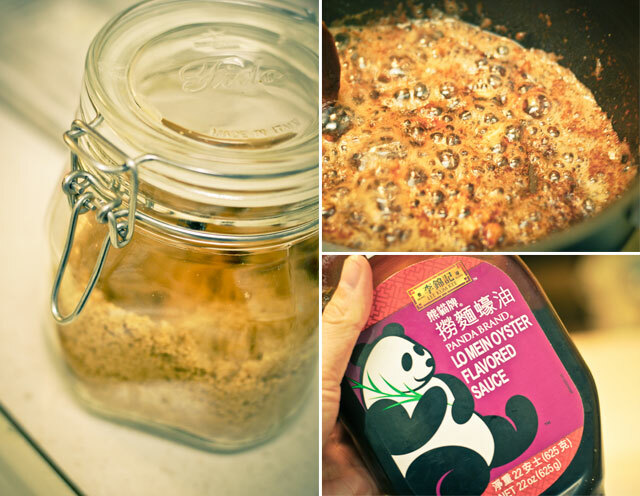 The key ingredients are the chopped garlic and oyster sauce, so don’t skip those steps! Try pairing these noodles with our Miso Marinated Salmon recipe. 1. In Large pot, bring water to boil and cook noodles according to the package instructions. Drain noodles and wipe pot clean. Return pot (or separate pan) to medium-high heat and add the butter. Once butter sizzles, add garlic. Fry for about 1 minutes or until fragrant. Don’t let the garlic burn. 2. Add brown sugar, Maggi Sauce and oyster sauce and stir well. 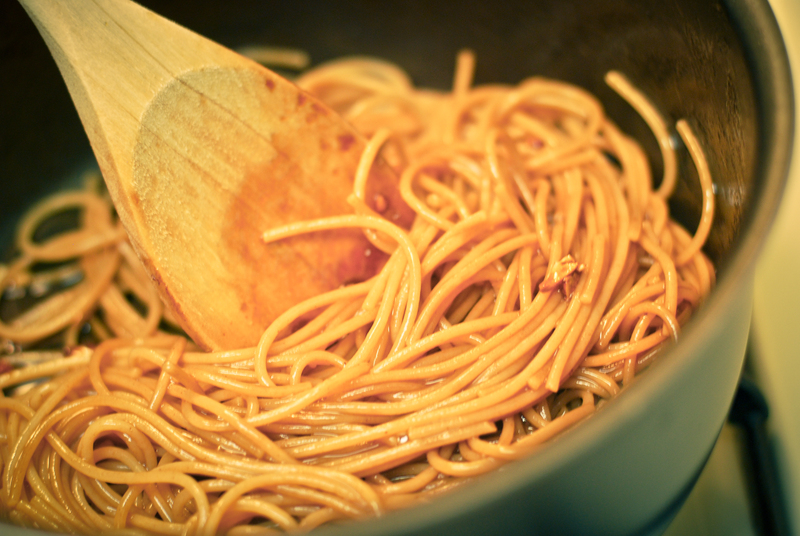 Add noodles and toss evenly with the sauce. 3. 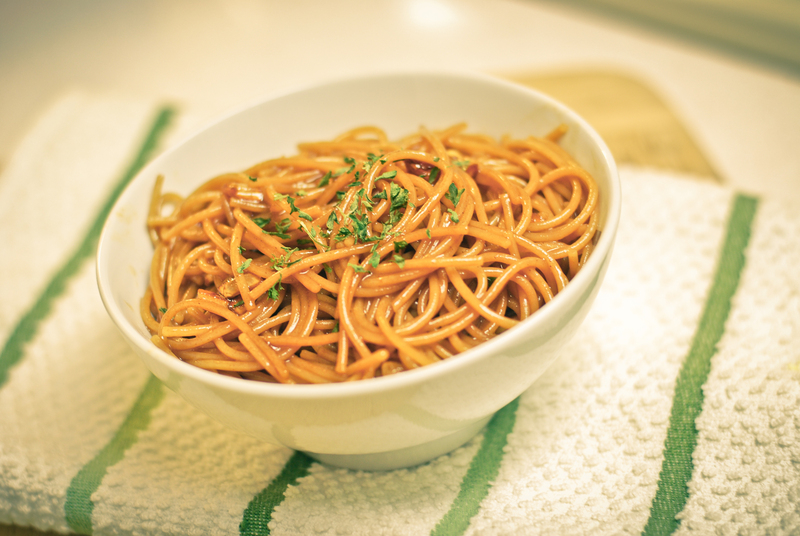 Remove from pan and plate the garlic noodles in a large bowl and toss with fresh mint or herb of your choice. Yum!! The Maggi makes a huge difference over soy sauce too! I highly recommend!